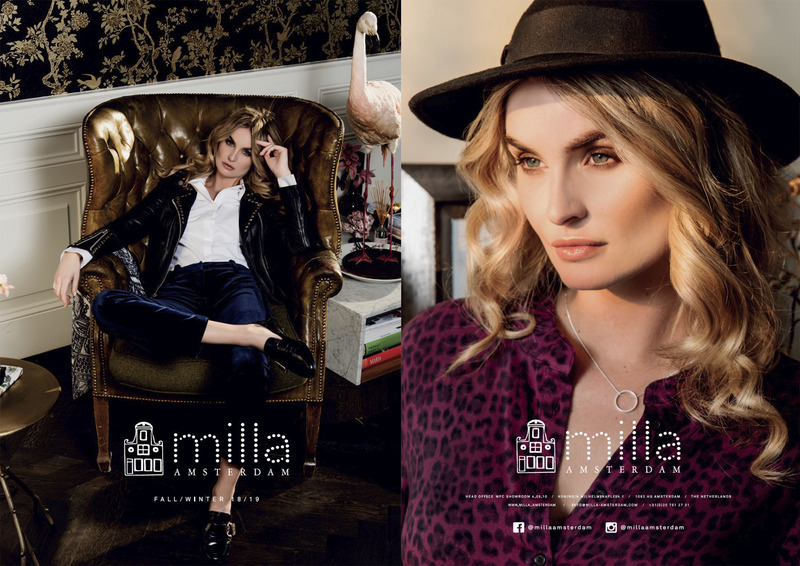 Fashion brand Milla Amsterdam visited Villa Nicola recently, to photograph their Fall/Winter 18/19 collection. Founder and designer Eva Harkema creates six fashion collections per year, that are feminine, powerful and identified as ‘urban luxury’. The gorgeous Robin, from Elite Models sauntered through our B&B in leopard print, leather, lace and leggings as the warm afternoon light shone through our windows. Thanks for gracing our Villa!